Don&apos;t worry, the first five days after a weekend are the hardest, but there&apos;s another coming soon! There&apos;s so many exciting activities and events around Athens, GA this weekend! 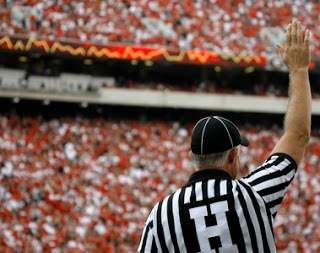 The September 29th UGA Football game against the Tennessee Volunteers will be our last home game until November 3rd against Ole Miss, so enjoy the 3:30 kick-off in Athens, GA! In addition, the Athens Corn Maze is open for some fall fun and the Georgia Theatre will host two great acts this weekend. The Bulldogs are 4-0 and ranked #5 coming into Saturday&apos;s sold-out game!! We shouldn&apos;t have to tell you how thrilling this game will be. There&apos;s nothing better than a day with 93,000 friends in Sanford Stadium! Kick-off is at 3:30 p.m. and don&apos;t forget our Football Weekends page for all you need to know about getting around Athens while in town for a game! Go Dawgs! There&apos;s no better way to feel fall in the air than a trip to a farm filled with fun harvest activities! At the Athens Corn Maze, guests can take a ride on the Hey Hey Heyride, feed farm animals, and children can take a pony ride! Unique to the Athens Corn Maze is the "Corn Box". It&apos;s similar to a sand box, but filled with fresh, clean corn for your children&apos;s enjoyment! Don&apos;t forget about the Corn Maze, either! The farm is open Thursday- Sunday through November 3rd. Tickets are $10 each. 2012 Yuengling Gridiron Music Series, Fri. @ 8:30 p.m.,&nbsp;Sat. @ 7:45 p.m.
Classic City Roller Girls vs. Scenic City Rollergirls, Sat. @ 6 p.m.
Athens Farmers Market, Sat. 8 a.m.-12 p.m.
Children&apos;s Show with Laughing Pizza, Sun. @ 1:30 p.m. Put A Ring On It Bridal Show, Sun. @ 12 p.m.